Sam’s background was originally in spoken theatre and I was interested in how he saw the differences between playing comic plays and comic operas. For Sam, in a comic opera the comedy is in the music and the timing is dictated by the composer whereas in a play you have to manufacture the timing as you go along. But he adds that when he is rehearsing recitative in opera he is trying to find the correct timing also, and if it works you can get a lot of laughs from recitative. And we both agree that we have been to performances of The Barber of Seville where there were no laughs. Inevitably with a touring production, the ethos behind the production of The Barber of Seville is pragmatic rather than striving for historical authenticity. Rosina will be played by soprano Claire Booth but Sam assures me that she will be singing in the original keys. And the recitative will be accompanied by a harpsichord (rather than a fortepiano), simply because one will be needed for The Marriage of Figaro. Elena Langer’s new opera Figaro Gets a Divorce is a continuation of the story from Rossini and Mozart’s operas, and Sam thinks the new piece is comic and witty. The scheduling means that audiences get the chance to see all three operas in a row in the correct order. 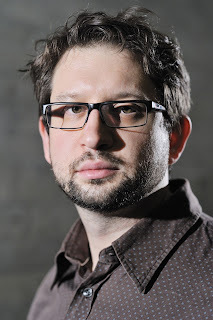 Sam also enjoys directing 20th century and contemporary opera partly because he feels that the texts are better, with music and text having the same parity unlike in 19th century opera. It is for this reason, Sam thinks, that directors like doing more modern opera and he cites it as one of his great pleasures. He directed first staged performances of Gerald Barry’s The Importance of Being Earnest in Nancy (the opera was given the same year in Nancy, Belfast and at the Royal Opera House but all three were different productions). 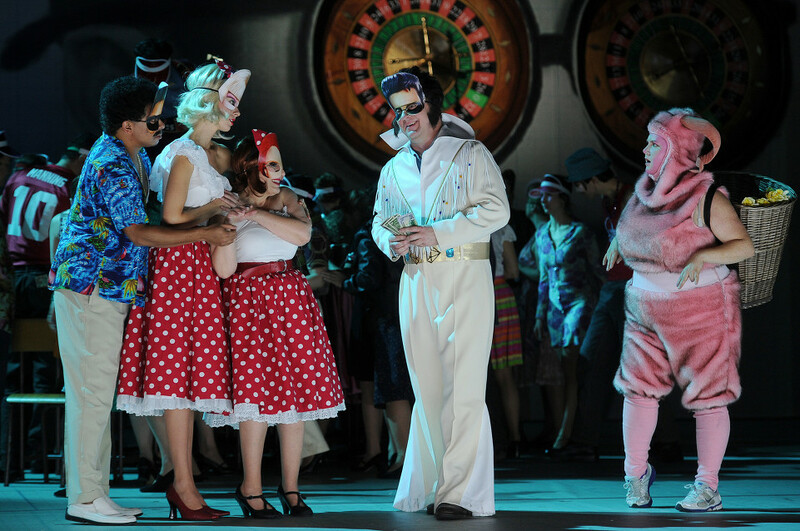 Sam sees it as is one of the first genuinely comic operas to be written recently. Not only does it have a good text, based on Oscar Wilde’s play but Barry’s use of the text is clever and witty, though the piece is not as deep and dark as Barry’s previous opera The Triumph of Beauty and Deceit which Sam directed in Karlsruhe in 2013. 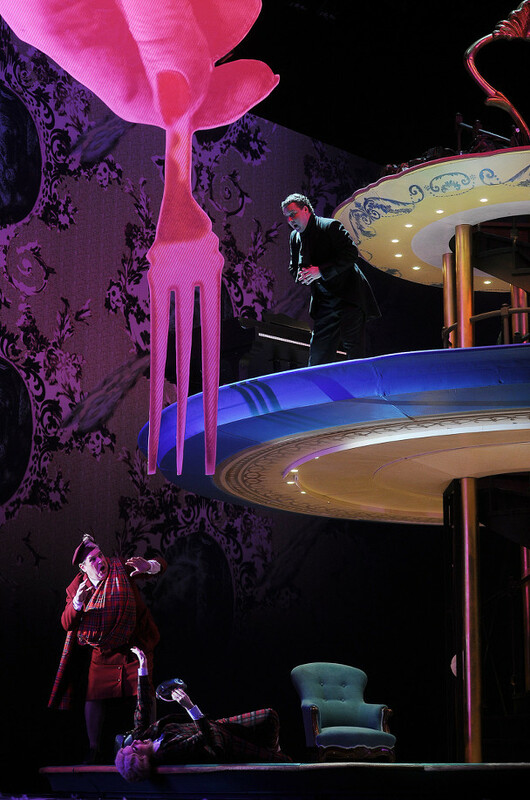 Recent work has included directing Lerner and Loewe’s My Fair Lady also in Karlsruhe. This is a piece which Sam describes as long and difficult, especially as it has such a substantial book. In Karlsruhe it was being given in German and Sam was very pleased with the result. It was mostly performed by opera singers, which provides a number of challenges. So that, for instance, the singer playing Dolittle not only had to master the Berlin accent which is used to replace the Cockney, but he had to master the musical theatre style of the part. Sam directs in a mixture of English and German, using German with those singers who have no English and also with the chorus. This means a lot of flipping about between the two languages which he says is good for his mental agility. A week before the Karlsruhe premiere of My Fair Lady, the theatre did an avant premiere introduction to the production and Sam was pleased that he did his entire presentation in German. The other area which Sam enjoys directing is baroque opera, and his production of Handel’s Alcina has just been revived at the Staatstheater in Cottbus. One of the reasons that he enjoys directing baroque opera is that the director is presented with little beyond the music, an aria might have five words for 20 minutes of music. He finds he experience pleasurable, being forced to invent as otherwise the audience may find the performance boring. And he thinks a director needs come up with a reason why a character is performing a da capo, otherwise the performance simply becomes a concert. Whilst Sam might exercise his fertile imagination in an older opera, he feels that with a new piece the director has a responsibility to the audience. They are experiencing the words and music for the first time and it is important a director presents this as cleanly as possible. It is the director’s responsibility to interpret the work, drawing out themes and making a presentation of it as a work of art. This clarity need not imply naturalism, his production of The Importance of Being Earnest took place on a giant cake-stand, but he feels that this was rightly illustrative. Returning to his production of The Barber of Seville, he thinks that it does not benefit anybody if the production is traditional. The director’s role is both to entertain he audience and to present his interpretation. Works like Rossini’s The Barber of Seville are large enough to cope and there are an infinite number of ways that the work can be read. He cites as an example the opening scene, ‘Enter musicians holding lanterns’, is it important that they have lanterns or is it simply that the scene takes place at night? Such directions should be prompts for the director, not hand-cuffs. When directing comedy he can only make work which seems funny to himself, situations such as misunderstandings, woefully misplaced optimism and subversion. I bring up the subject of the highly choreographed nature of many production of Rossini’s comic operas, and he quotes Richard Jones saying ‘it is all choreography’. For Sam, any production involving a chorus has to have choreography of a sort and one of the things he finds fascinating is the contrasts between chorus members doing things individually and doing things in unison. He enjoys working with choruses full of strong individual personalities and thinks that this particularly describes those in the UK. Even scenes of great naturalism need choreographing, and the ability to animate a bit group of people is not easy, and the great directors of opera are the ones that can really shape things. A discussion about the difference between UK and German choruses leads us to a discussion of the more general differences between opera in the UK and Germany. Sam sees that the difference is in how the work is made. Most German opera is produced by state theatres alongside drama and dance. The work is presented in repertory with many artists on contract. This combination of an ensemble of singers producing work in repertory is very different from the stagione system in the UK. Sam thinks that it is better for the audience, he points out that Leeds gets around 6 weeks of opera per year whereas in Germany some opera is presented every week. But German productions have to be made like a production line whereas in the UK by concentrating on a single production at a time makes things far better for the director. The disadvantage to the German system is that revivals can often be lacklustre, Sam cites a production of Parsifal in a large German house where the staff producer (who hadn't worked on the original production) was working with a cast, none of whom had any involvement in the original production either. The whole revival was based on the instructions in the prompt book, but for Sam a production (even a revival) should be about why a character is doing something and not just what they are doing. In Germany, productions can sometimes be quite rough and this is accepted as OK, what is important is the next production. 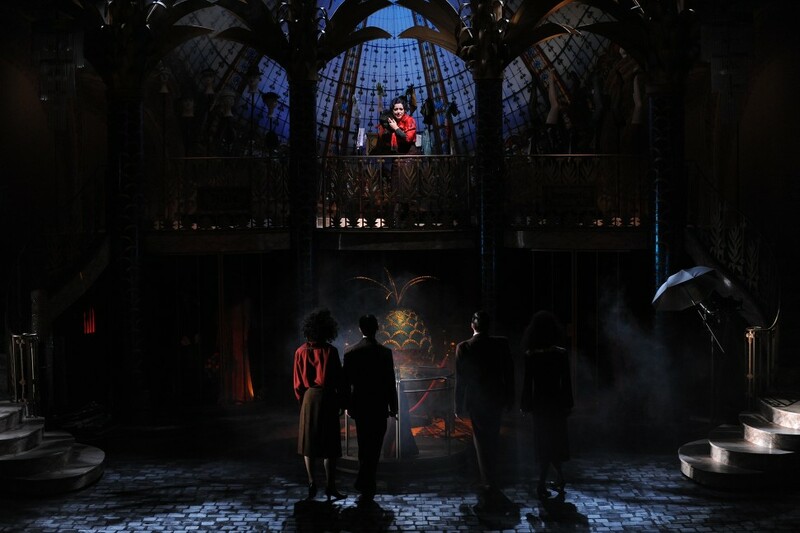 But in the UK revivals are often treated just like new productions (except the scenery is free). This means that opera productions in the UK are often high quality, but there just are not many of them hence the concentration of Sam’s work in Germany. Sam started out working in spoken theatre. 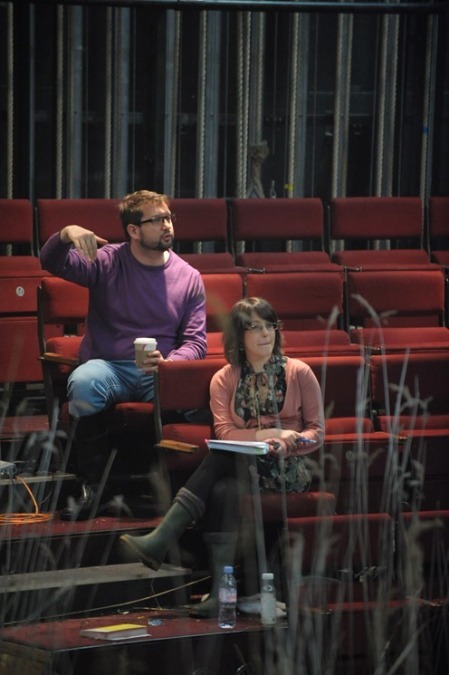 Working at the West Yorkshire Playhouse he was invited to become a staff director at Opera North. He had no previous experience of opera and loved it, he describes himself as gorging on it and he still listens to a lot of opera. His opera education is very much based on the operas he has been commissioned to work on, so he is still making discoveries, and mentions seeing the recent production of Gluck’s Orphee et Eurydice at Covent Garden. Looking ahead he is writing a new opera with Elena Langer entitled Trotsky and Kahlo, about Trotsky’s exile in Mexico and his affair with Frida Kahlo, and his assassination. One of the appeals of the story are that the characters are all operatic, with the highly jealous Diego Rivera being described as wielding a pistol like an exclamation point. It will be written for six singers and chorus, with the male chorus being off stage and often representing the voice of Stalin chasing Trotsky. 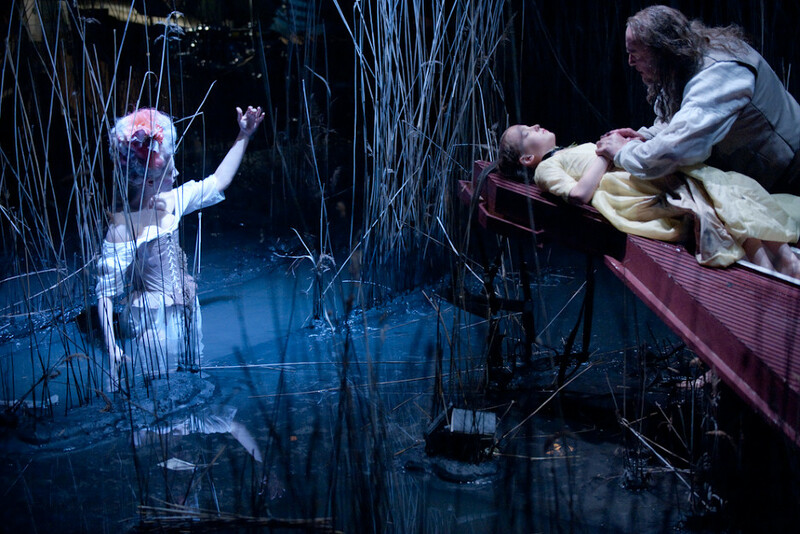 There are plans for a production in the UK, but the exact timing will depend on funding. When I ask him what his desert island production would be he says he would love to do a Russian opera, because for him the music and the text in these pieces go hand in hand whereas even in the great Italian operas there are moments when this is not true. He thinks that this arose because of the strength of Russian theatre and literature so that the composers took the text as primary. But directing such an opera, Sam feels that it needs to be performed in the audience’s native language (English in the UK, German in Germany), and that there is nothing to compare to the communication possible from such an experience. Added to which Sam would find it difficult to direct and opera in a language that he did not speak. Given Sam’s keen views on communication in opera, I was interested in his views of surtitles. He thinks that one of the problems is that we listen differently to the way we did 50 years ago. Our recordings are clearer and so we expect more from our live performances. He also adds that audiences remember the stand out performances so that for every past singer with fine diction, there were probably plenty of forgotten ones with indifferent diction. An opera company’s responsibility is to build and audience, and not having surtitles seems to make people less will to attend. On top of this, Sam would be reluctant to take anything away from an opera that helps engage an audience. He prefers the surtitles which are discreetly in seat backs (though these are admittedly more expensive) as the ones above the proscenium tend to draw your eye. And in comedy, the problem with early punchlines in the titles he thinks is surely one of timing. Sam seems to give so much thought to the wider issues of presenting opera and developing audiences, that it is no surprise to find that running his own company is something which appeals to him. He finds that coming into a company as a guest director and then departing again is not completely satisfying and he would like to represent the art form fully and so directing a company is something he would like to aim for. We then start talking about issues surround the English National Opera and the current batch of problems that seem to be occurring, particularly as they have no artistic director. One area that Sam feels strongly about is the matter of self-definition, what could be called branding. He thinks it important that a company knows what it stands for and who it wants the audience to be. And that these issues have sometimes be unclear in the recent past and that audiences have not known what to expect. So that the primary aim of any company is to have its artistic identity clearly defined, something that can come from the artistic director. One of his interesting points of view is that, judging by his experience of German opera companies, UK companies are over staffed with non-performing personnel and it is in these areas that cuts could be considered. We have a long discussion about these issues and it is clear that Sam has thought a great deal about the issues surrounding an opera company in the present climate. Ideas he comes up with include doing large-scale musicals with fully stage with full orchestra (which is rare in the UK) and without microphones. He feels that such productions would be a good way in to opera, citing that the jump from West Side Story (sung without amplification) and Puccini’s La Boheme was not that great. His final point is to return to the importance of the artistic director, he cites Nicholas Payne and David Pountney as exemplars and goes on to mention Barrie Kosky’s regime at the Komischer Oper in Berlin. Six years ago, before Kosky took over, the house was often empty but now there are queues round the block. 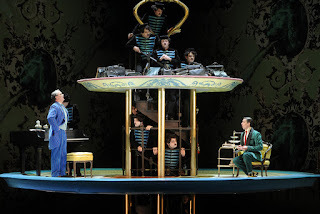 Kosky’s regime has a clear sense of the opera’s brand and made it fashionable and popular, and this in a city which as one more opera house than London and far fewer people. 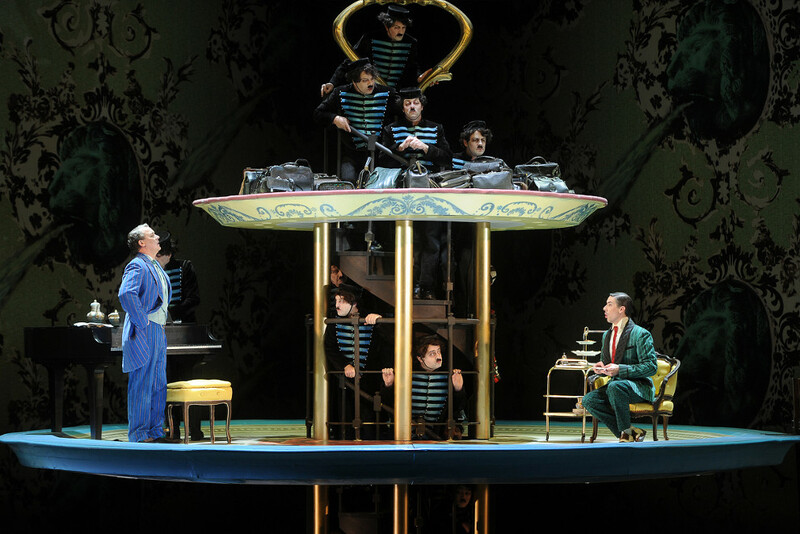 Sam Brown's production of Rossini's The Barber of Seville at Welsh National Opera opens on 13 February 2016 at the Wales Millennium Centre, conducted by James Southall, with Nicholas Lester, Claire Booth, Nico Darmanin, Andrew Shore and Richard Wiegold. Also in the same season, Tobias Richter's production of Mozart's The Marriage of Figaro conducted by Lothar Koenigs with David Stout, Anna Devin, Mark Stone, Elizabeth Watts, and Naomi O'Connell (18 February 2016), and David Poutney's production of Elena Langer's Figaro Gets a Divorce conducted by Justin Brown, with David Stout, Marie Arnet, Mark Stone, Elizabeth Watts, Naomi O'Connell, and Andrew Watts (21 February 2016).